We use .925 Sterling Silver in our manufacturing of jewelry. We manufacture our gold jewelery by using 10, 14 and 18K in yellow or white colour. Brass is usually combined with copper or alpaca. We have earrings, cuff and bracelets in this material. 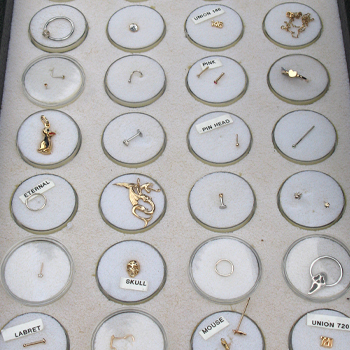 Most of this jewellery is imported from Mexico. We use this noble metal mainly in body piercing jewellery. . Its natural colour is off-white with a yellowish tone and very light weight. 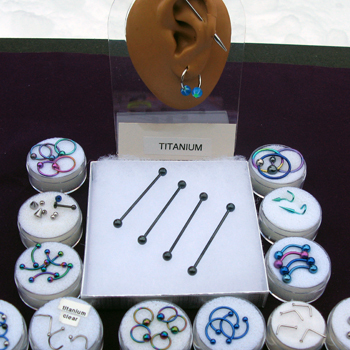 We process some titanium items which gives a variety of colour finishes such as pink, light blue, dark blue, black, green, purple or gold. We are in the process of discounting this metal. Alpaca is also known as German Silver. 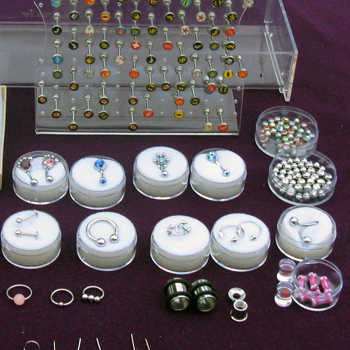 We offer it in earrings, rings, cuffs, hair barrettes, pendants and bracelets. 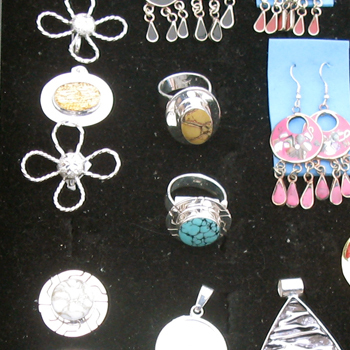 Some items are silver plated to give a rich white finish. 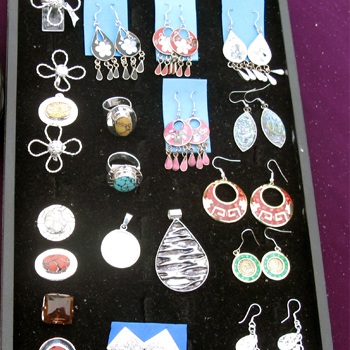 Alpaca is an inexpensive metal in comparison to sterling silver. 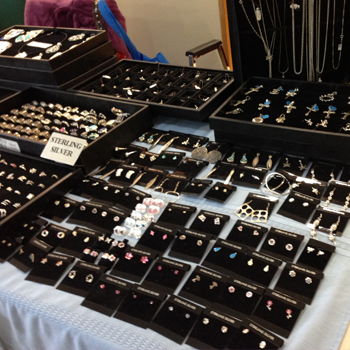 Most of this jewellery is imported from Mexico. 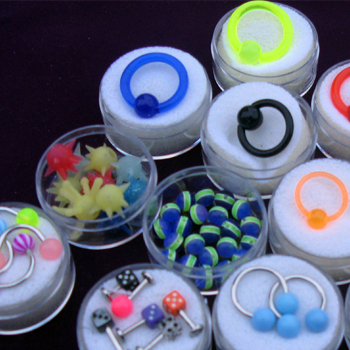 Acrylic accessories come in a variety of forms like beads, dice used for body piercing jewellery. There is a good selection of colour on beads which vary from 4, 6 and 8mm round. Some are glow in the dark and others have a frosted metal blend. Call for colour availability. Acrylics are also available in bulk. 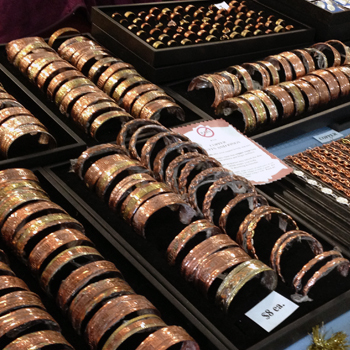 We only use solid copper in rings, cuffs and bracelets. Because of its softness, some designs are reinforced by combining them with other metals such as brass and alpaca, giving a rich tri-colour look. Many people claim that copper rings help against arthritis and finger stiffness; from experience after doing jewellery polishing, I can agree with this claim. Copper properties may tarnish the skin temporarily (it comes off with soap and water), which means your body is absorbing its benefits. We have 316L and 316LVM Stainless. Each item is highly polished. We offer 18 through 00 gauge items.